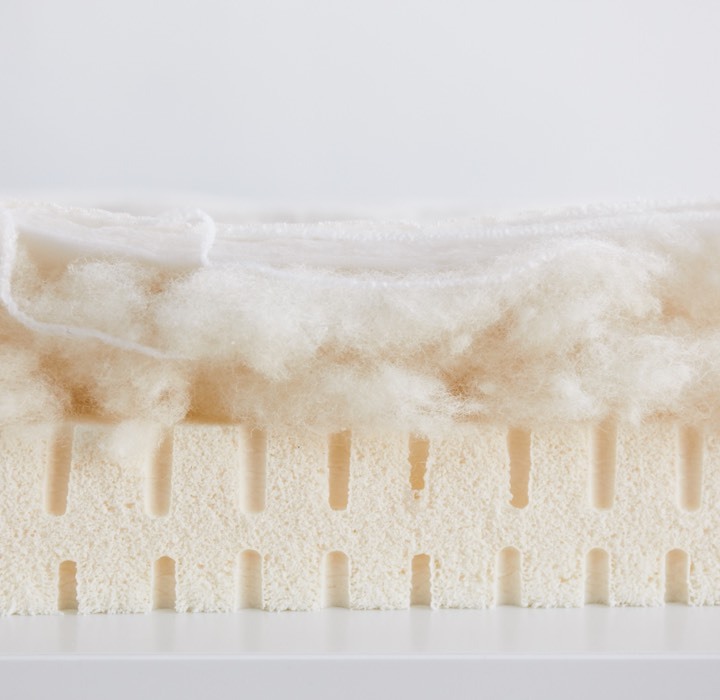 How are the layers of your Green Natural Mattresses Latex Toppers constructed? A cutaway model shows how the layers are constructed, using the actual materials. 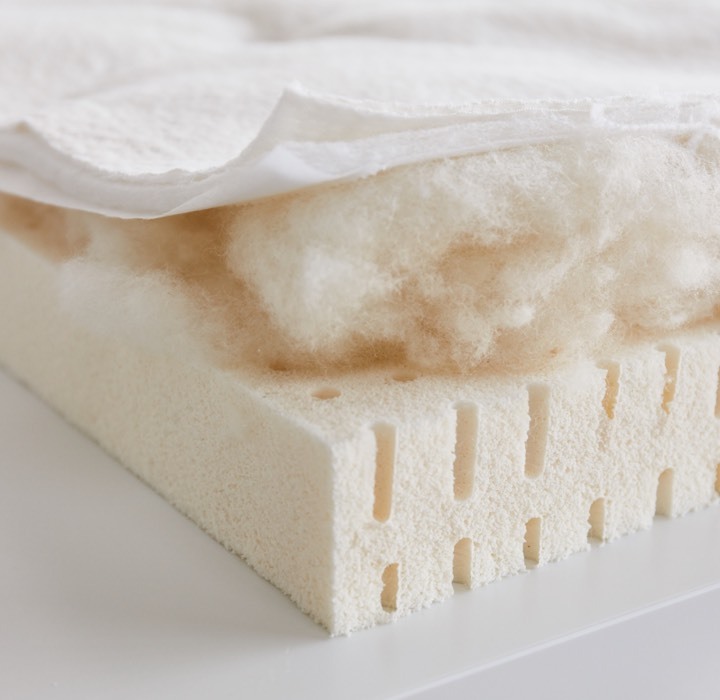 Our entire Avocado Green Natural Mattress Latex Topper is GREENGUARD Gold Certified® by UL Environment (rather than just select components). The design mimics the construction of the pillow-top on our mattresses that, if selected as an option, is permanently attached. Mattresses toppers are sold separately and do not permanently attach to the mattress. • Organic certified Wool — 1 ounce per sq. ft. — 100% GOTS organic certified and OEKO-TEX® Standard certified. • Organic certified Latex — The Plush option uses soft Dunlop latex (D65 / 14-19 ILD). The Firm option uses uses medium-firm Dunlop latex (D75 / 20-25 ILD). Both are 2 inches and 100% GOLS organic certified and eco-INSTITUT® certified. Please note: The organic cotton canvas, used on the base layer, as well as the brass zipper, is not shown in this model.